i-Fit 2 point padded pelvic belt - single pull is a pelvic positioning support which facilitates posture stability and allows additional upper extremity movement. i-Fit pelvic belt is designed to reduce negative postural tendencies which can lead to orthopedic deformities and other secondary medical complications. 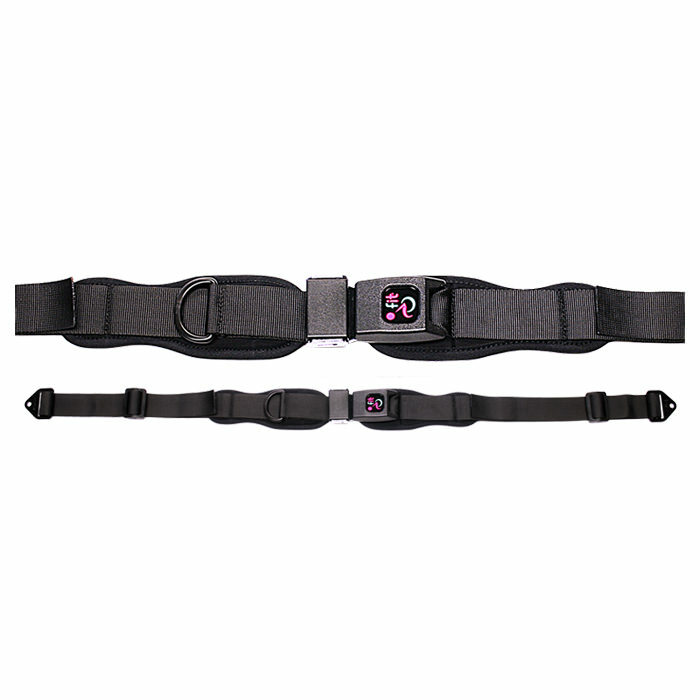 i-Fit 2-point pelvic belt aids in preventing sacral sitting, unsafe and non-functional postures, skin breakdowns, and increased pressure on bony prominences. 2 point padded pelvic belt - single pull is available in two buckle options; side release and push button and in three different sizes; 1", 1.5" and 2". Side release IFPB6213 Medium 7.5" 32" 27" 1½"
IFPB6214 Large 9.5" 32" 27" 1½"
IFPB6314 Large 9.5" 32" 27" 2"
IFPB6315 Extra large 11.5" 32" 27" 2"
Push button IFPB5111 Extra small 4.5" 32" 27" 1"
IFPB5112 Small 5.5" 32" 27" 1"
IFPB5213 Medium 7.5" 32" 27" 1½"
IFPB5214 Large 9.5" 32" 27" 1½"
IFPB5314 Large 9.5" 32" 27" 2"
IFPB5315 Extra large 11.5" 32" 27" 2"